The SAN fixed blade is the creation of Dew Hara, son of the widely known and highly regarded knifemaker Koji Hara. 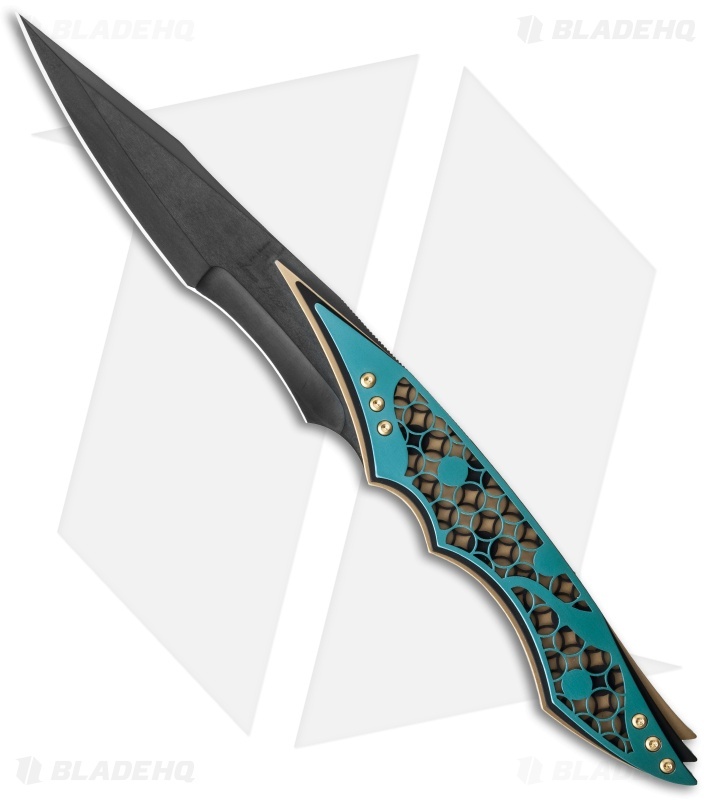 This knife is an absolutely stunning work of art. It has a DLC finished ATS-34 steel blade with three layers of anodized aluminum. The two outermost layers feature a decorative pattern that is accented by a gold anodized base layer. 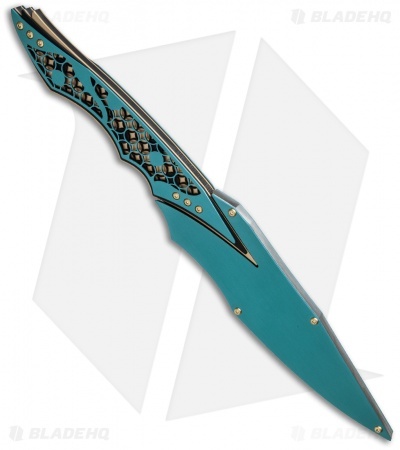 A matching anodized aluminum sheath is included. This is a singular knife and a great collection piece. Direct from maker at the NYCKS.